A new video by Fayha Shalash, Palestinian journalist and the wife of imprisoned hunger striker and journalist Mohammed al-Qeeq, urges international action for his release. We urge all supporters of Palestinian freedom, liberation and justice to share this video widely, as al-Qeeq enters his 24th day of hunger strike demanding release from imprisonment without charge or trial under Israeli administrative detention. Mohammed al-Qeeq is one of 23 Palestinian journalists imprisoned by the Israeli state. His life and health are on the line not only for his freedom, but for Palestinian freedom overall and an end to administrative detention without charge or trial. It is critical to raise our voices internationally and demand freedom for Mohammed al-Qeeq, an end to administrative detention and the freedom of all Palestinian prisoners. 2. 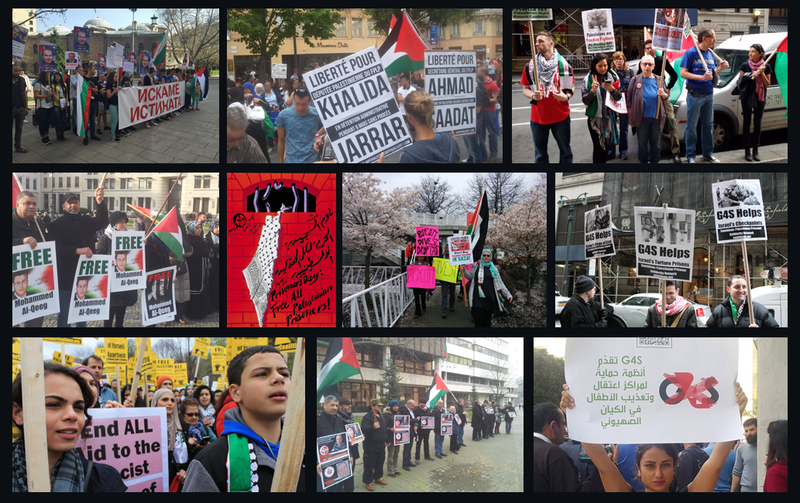 Organize a protest or a forum for Mohammed al-Qeeq and Palestinian prisoners. Israeli Apartheid Week is approaching and the Israeli injustice system is an excellent example to highlight in IAW activities, especially as your support can help to bring the international attention needed to help Mohammed al-Qeeq in his struggle for freedom. You can invite a speaker, hold a discussion, hold a protest, or just distribute leaflets and information (see below for sample leaflets and posters). To request resources or let us know about your event so we can post it publicly, email samidoun@samidoun.net or contact us on Facebook. 3. Hold a Symbolic Hunger Strike. This is an especially effective tactic on a campus for Israeli Apartheid Week, but can be used anywhere. A symbolic one-day hunger strike in which participants publicly express their solidarity with al-Qeeq and fellow Palestinian prisoners can help to raise local attention. Email samidoun@samidoun.net to let us know about your event!